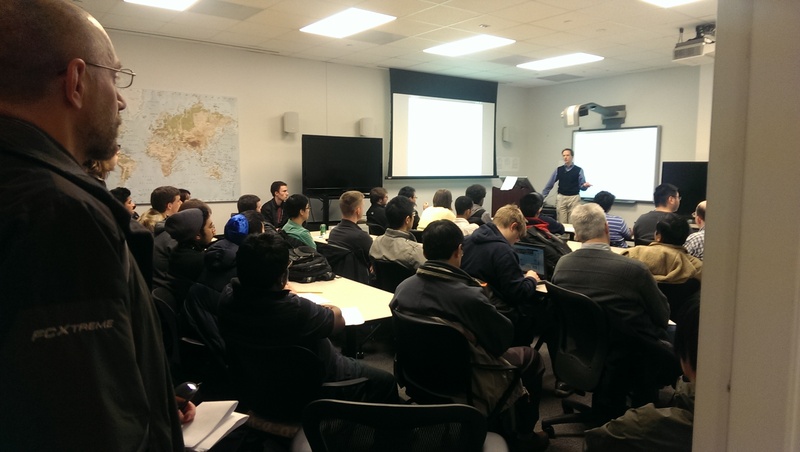 Dr. Charles Twardy, SciCast Principal Investigator, gave a SciCast tutorial to a full house last Friday. If you need the client to view the recording, click here. This entry was posted in News and tagged C41, C4I Center at George Mason University, Charles Twardy, George Mason University, GMU, SciCast, Tutorial by Jessie Jury. Bookmark the permalink. Slide-based tutorial given 3-March. Recording software did not capture Powerpoint animations. Live online demo starts about 59 minutes but not captured by recording software.